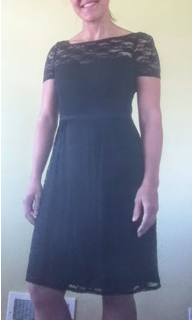 I FINALLY Found MY Little Black Dress! When I found this dress at ThredUp for a whole $12 I thought I was dreaming. I LOVE it. It’s exactly what I’ve been looking for and at a better price than what I thought I’d spend. You’d never know that I bought it from a consignment store. Pre-used? How about pre-loved. I highly recommend you check out ThredUp. Previous I really love the items I got!! !